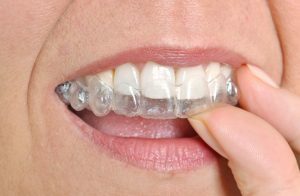 Where can I get Invisalign in West Chester? If you’re considering ways to straighten your teeth, you’re going to want to consider all available options. At West Chester Dental Smile Center, our knowledgeable and attentive staff will be glad to guide you in exploring our comprehensive selection of treatment options and find the method that works best for you. Staying current with the latest research, technology, and techniques, we offer many leading-edge options to improve the look and function of your smile, including clear braces West Chester. As a provider of Invisalign, we offer individuals who are looking for a cosmetic and effective way to align their teeth, a state-of-the-art option in orthodontic care. Invisalign is the perfect choice for older teens and adults who wish to are looking for a more discrete alternative to more traditional appliances. At West Chester Dental Smile Center, it’s our goal to provide every patient that comes through our doors with the individualized attention they deserve. 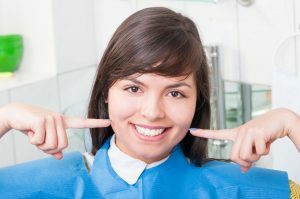 Using your input, we’ll design a personalized smile makeover plan that achieves your dream of a more beautiful smile. As a state-of-the-art dental provider, we use sophisticated digital imaging technology to map the unique dimensions of your mouth to custom fabricate your clear braces West Chester. Your Invisalign aligners are designed to be worn in a prescribed sequence, each for approximately two weeks, to gradually shift your teeth into ideal positions. Best of all, the aligners are removeable for short periods of time. This means that you can still enjoy your favorite foods and maintain your brushing and flossing routine. With a 96% satisfaction rate among Invisalign patients, we’re confident you will be pleased with the results of your treatment! If you would like to learn more about the new orthodontic treatment that’s taking the field of dentistry by storm, please contact West Chester Dental Smile Center. Our helpful staff will be glad to discuss our clear braces West Chester with you further! Call our office today. This entry was posted in Clear Braces and tagged 45069, Clear Braces, Cosmetic Dentist, Dental Exam, Dental Office, Dentist, Dentistry, Invisalign, West Chester on August 11, 2017 by admin.